We'd like to preface this review by saying that the final rating for this machine is based on usability as it relates to SVG files. Since the scanning function has nothing to do with the ability to cut our SVG files, we're not going to discuss this feature and it will not be factored in to the overall rating for this machine. Unlike other personal electronic cutting machines on the market, the Brother ScanNCut does not give you a direct interface for cutting SVG files. This means that you cannot connect the machine directly to a computer. (Note: The unit does have a USB port so this could change in the future). In order to cut SVG files with this machine, you'll need to login to the ScanNCut Canvas website, open your file and convert it to a proprietary .FCM format, which you then transfer to a USB flash drive that plugs into the ScanNCut for cutting. Let's take a look at the steps involved in cutting SVG files in further detail. 1. 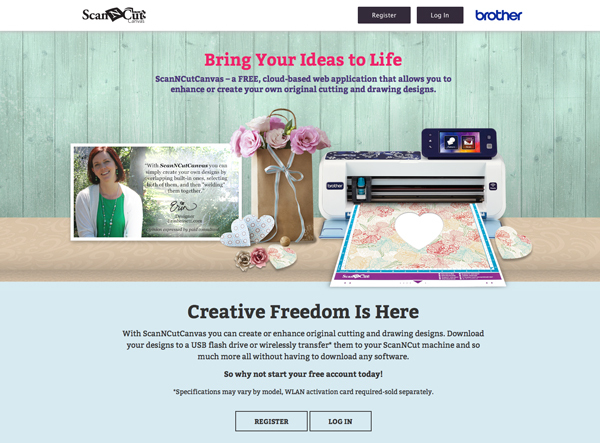 Login to Brother ScanNCut Canvas website https://scanncutcanvas.brother.com (Registration required). 2. In a new, blank project, click on the "SVG" button near the top of your window. 3. Navigate to the SVG file that you'd like to use by clicking on the Choose File button, locating the SVG file and then clicking the OK button. The shape now appears on your mat on-screen. 4. Click the big purple "Download" button to save the design as an .FCM file (which is the only type of file that the ScanNCut machine can read) by clicking on the "Download to PC" button. 5. It will be saved as "Untitled.FCM" unless you specify a different name for it. To specify a different name for it (and to specify the location it will be saved in), you can right-click on it and use the menu that comes up. At this point, your file has been converted and saved to your location of choice, for example a flash drive. You can take the flash drive, connect it to the ScanNCut and cut. But if you would like to use more than one SVG file, you'll have to repeat the process above for each and every SVG file you wish to cut. As you can see, this can become a bit tedious. We really hope that Brother sees the benefit in giving users the option to directly interface with the machine. We're not saying they should change the way it works! We can see the benefit of saving files on a flash drive, especially if you're going to a crop or don't want to be tied to your computer. We're just saying that many users would benefit from being able to cut directly to the machine from the ScanNCut Canvas software. Keeping your files organized, locating and selecting the correct SVG file from a flash drive is going to be a bit harder to do compared to being able to keep your files organized in folders on your desktop. When it comes to using SVG files, the Brother ScanNCut workflow isn't ideal, but it does work. To be honest, we aren't completely in love with the level of accuracy of the Brother ScanNCut. As of 2014, when cutting, we noticed that the blade housing wasn't very sturdy, it seemed as if it was a bit wobbly. However, as of the updating of this information (October 2017), we haven't tested the new ScanNCut machines personally. The good thing about the ScanNCut software is that our files open at the correct native size so you don't have to worry about resizing any of the SVG files required to create our 3D projects. 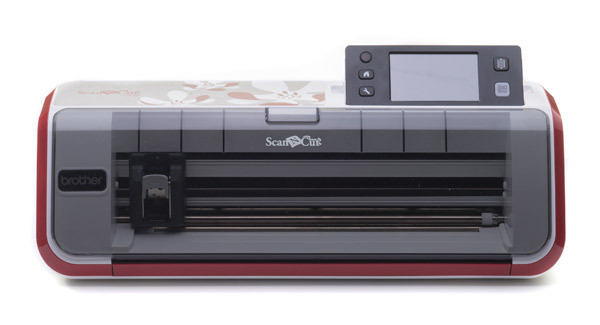 If you're looking for a cutting machine to use with our SVG files, or SVG files from other sources, I would consider looking at the Sizzix eclips2, Silhouette CAMEO or the Cricut Explore. At least until Brother gives users the ability to cut SVG files directly from the ScanNCut Canvas software. But even if Brother enabled a direct way to interface with the cutting machine, the precision doesn't match up to that of the Silhouette CAMEO and Sizzix eclips. The machine gets the job done, but it's simply not as efficient, precise and cost effective as some of the other options out there.